There are many causes of cirrhosis; they include chemicals (such as alcohol, fat, and certain medications), viruses, toxic metals (such as iron and copper that accumulate in the liver as a result of genetic diseases), and autoimmune liver disease in which the body's immune system attacks the liver. In our Multicare homeopathy online treatment center peoples suffering from cirrhosis of liver have been benefitted using our advanced homeopathic treatment packages. 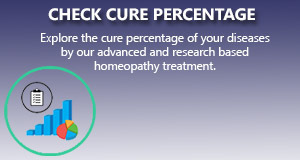 We apply the most scientific and research based homeopathy treatment package for this condition that gives a long standing cure to the ailment. 6 Best Homeopathic Medicines for Crohn�s Diseases and Ulcerative Colitis.